Do you ever find yourself wishing for a flexible space in your house that can be a sewing room today and a guest suite tomorrow? House plans with bonus rooms offer tremendous flexibility when it comes to changing needs. Weather your needs change day-by-day, week- to-week or every 10 years, a home plan with a bonus room is sure to accommodate you. Usually bonus rooms are found on the upper level of the home or above the garage and most are designed to be finished when the home is built or years down the road. That’s their first sign of flexibility. Maybe you don’t have the need for extra living space when you first build the home or maybe it is not in your budget to finish another room right away. Just wait until you’re ready and finish the bonus room when the time is right for you. Or if you have an immediate need for the bonus room, finish it right away and get maximum use out of it. Guest Room/Suite: If you have frequent overnight visitors, finish the bonus room as an extra bedroom. Add a full bath to completely accommodate your guests. Game/Recreation Room: For all the entertainers out there, a game or recreation room offers a great place to kick back and relax with friends and family weather you are enjoying a billiards game, playing cards with the guys, Bunco with your girlfriends, or your teenagers need a space to hang out and visit with friends. A game/recreation space encourages conversation and relaxation. Home Office: Perhaps you own a home-based business or just work from home on a regular basis. An upstairs office provides a private workspace and you’ll never even have to leave home! Plus, because it is secluded, you’ll never have to worry about the kids or guests seeing important documents or interfering with the big project you’ve been working on for weeks. Homework Station: While the kids are still in school, your family might find it necessary to have a dedicated space for homework furnished with decks, a computer and good lighting ensuring a good place to study and complete homework assignments and school projects. This is a place where students can focus on the tasks at hand without being disturbed by other happenings in the home. Craft/Hobby Room: If you enjoy crafts, scrap booking, sewing and other indoor hobbies, a bonus room offers the perfect place to work on your projects and store supplies. Plus you won’t have to clean up a project you’re working on until it is complete. Exercise Room: For families with an eye on a healthy and fit lifestyle, create an exercise or workout room for everyone to use. This is the ideal place for the treadmill and weight bench keeping them out of sight in the main home, but still conveniently accessible, ensuring you’re workout routine won’t be disrupted. Home Theater: This is an option the whole family is sure to love, not to mention friends and visitors. Turn your bonus room into a home theater so every night can be movie night. Furthermore, the kids can enjoy watching a movie upstairs without disturbing you while you might be reading or talking on the phone downstairs. This is a space people of all ages will enjoy. Now, consider this. Perhaps you really needed that home office when you started that successful business in your younger years. But, now that you’re retired, you’d prefer to use the bonus room as something else. So convert the home office you originally started with to something more fun like a rec room. Or maybe your family really needed the bonus room for a homework station years ago, but now the kids have homes and kids of their own. Maybe you need to convert the homework station into a playroom for the grandkids. With a little imagination and a bonus room, the sky is the limit. 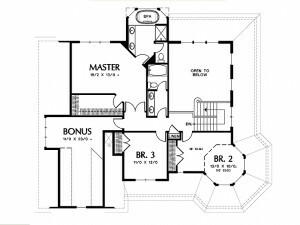 If you’d like to browse house floor plans with bonus rooms, visit The House Plan Shop. There are many ways to add extra value to your new home. You will not have all the options to make the home improvements one might tackle when remodeling an older home such as adding new windows, redesigning the kitchen to be more user friendly and energy efficient or adding modern features, but there are plenty of ways to add value to a relatively new home. Begin by considering your family’s needs and lifestyle and decide what type of addition will deliver the most benefit in terms of purpose, functionality and usable space. A few popular additions that will add value to your home are listed below. Each offers a specific purpose and increased functionality when it comes to everyday living. Finished Basement – If your home is built on a basement foundation, consider finishing this space. You’ll have plenty of room for a family, recreation or hobby room, extra bedrooms for growing children (like your teenagers) or guests, an additional bathroom or two, a home office or whatever other special space your family may need. Furthermore, you can finish a portion of the space for the rooms your family needs and continue to use the remaining space for storage or finish the entire basement providing maximum livability. Finished Bonus Room – Perhaps you have a bonus room on the second floor or above the garage that you did not finish when your home was built because you did not need it or did not have the funds to finish it at that time. Now, there may be a need for an office, exercise area, e xtra bedroom or guest suite. You might even consider finishing the bonus room to serve multiple purposes satisfying more than one need. Deck – Do you have a backyard with a view? Do you love spending time outdoors? 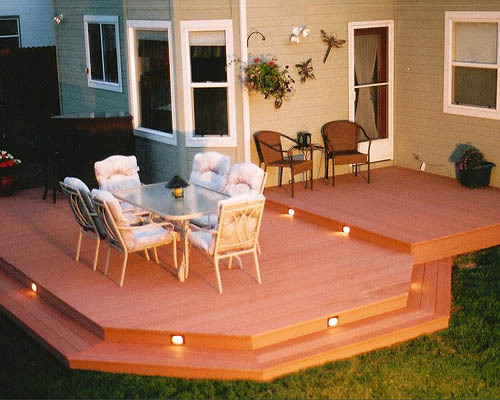 Consider adding a deck to the rear of your home. This space extends the living areas creating an outdoor living space great for relaxing, reading, visiting with neighbors, grilling your favorite meats, dining outdoors and holding summertime barbecues with family and friends. Finishing your deck with a gourmet grill, built-in bench seating or making it a screened-in porch provides further functionality and comfort. 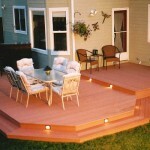 Adding a deck to your home increases property value and provides a great space for quiet time and entertaining. Garden Shed – If you love being outdoors and take pride in your yard and flower or vegetable garden, you may have a need for a garden shed. Adding a garden shed to your backyard provides the ideal place for storing lawn and garden tools and supplies and keeps them handy, but out of sight. Detached Garage – There are many reasons to add a detached garage to your backyard. Maybe you have a growing family fleet and need a place for your teenage drivers to store their cars. Perhaps you are a water sports enthusiast and need shelter for your boat, canoe, jet ski or fishing equipment. 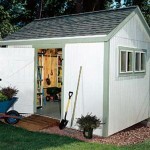 Crafters, woodworkers and owners of small home-based businesses might find that a detached garage makes the perfect workshop. Adding a garage to your new home offers flexibility for a variety of needs and purposes. 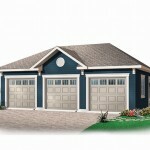 Furthermore, detached garages come in a wide ranch of styles making it easy to find one to match your home. Also, they are available in a multitude of sizes and many offer special features ensuring you’ll find the right garage design to accommodate your needs, budget and lifestyle. Whether your family needs extra living space in the basement, an outdoor place to enjoy Mother Nature or room to store an extra car or two, there are many ways to add value to your home and improve functionality in a practical way.